Review: To bring the dark sides of the internet to the big screen in the shape of cyberbullying promises to stand as good cinema. 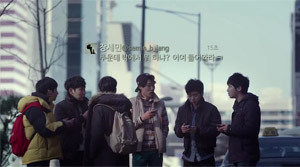 Up until now Korean cinema has mainly focused on bullying at school ("Thread of Lies", "Pluto"), but a country that is so much geared to internet and social networks like Korea is in need of an update of this topic. "Socialphobia" takes on this task and successfully so for most part. Cyberbullying is traced back to the perpetrators and we get a glance into their psyche. Doing so it becomes obvious pretty soon that they aren't just monsters without a conscience. Instead, the topic proves to be quite complex and moreover is also garnished by a crime story that is supposed to keep the level of suspense and pacing high. Flames and other kinds of ruthless or insulting commentary are common practice in bulletin boards or the social network. Oftentimes, users try to outdo each other and things escalate, especially when the initial commentary isn't taken back and instead more of the same follows. This may be so because you in fact don't have to fear suffering any sanctions on the internet. But in "Socialphobia" hatred for a flamer spills over to the real world. One peculiarity of the film is that it's understandable that Ha-yeong incurs the wrath of others. Accordingly, the eight boys are at first guys for us to symathize with. Still, after everything has gone out of control they have to ask themselves whether or not they are in fact responsible for the girl's death. Fortunately for them there are a few inconsistencies that aren't of any real importance to the police and so they are looking for the alleged murderer on their own. On a moral level everything remains pretty questionable. The self-proclaimed investigators don't want to solve the murder case for the sake of justice after all, but to ease their conscience, and for the two protagonists it's also because they want to be able to become policemen one day. The crime story that unfolds is full of mysteries and only slowly new clues are uncovered. During this investigation it turns out that the adolescents aren't professionals at all and more than once they are on the wrong track. As if they hadn't learned anything from their actions before they also continue putting blame on others and provoking on the internet in order to get closer to the truth. 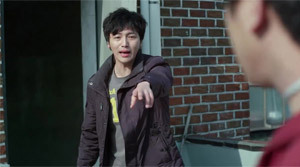 Sometimes, their investigation practices can create some funny moments as well, but most of the time "Socialphobia" comes across as a dark thriller, which takes its sociocritical subject very seriously. Naturally, the mystery around the killer can only be solved when there is also more information about the victim uncovered. In the course of the investigation it turns out that Ha-yeong wasn't that much of a likeable person in real life either. But when it comes to the investigators there are also more and more aspects of flawed characters revealed and last but not least there are constantly new twists that demand from us to see the events from a new perspective. Byeon Yo-han ("Tinker Tinker") and Lee Joo-seung ("Broken") deliver solid performances, but the film certainly benefits from the cast being very young all throughout and thus locates the subject where it has the most energy: among adolescents. Consequently, it shouldn't surprise that there are cell phones pulled out and tweets are sent again and again. 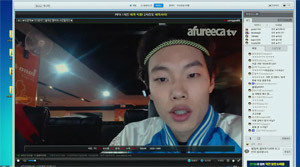 Technically, director Hong Seok-jae implements social media in a classical way by adding text messages to the picture or even presenting us a long chat merely through text on a black background. The only thing original are the life feeds captured by a webcam where we get to see user commentary at the bottom of the screen. Since the director, apart from the implementation of social criticism, also tries to achieve delivering a neat thriller it needs to be criticized strongly that the pacing drops considerably during the middle part, leading to the viewer almost not being interested in which direction the movie might go, anymore. Luckily, Hong gets back on track at the end and offers a well-done resolution. Although it is the only possible ending that could have given his movie the necessary weight and thus is somewhat predictable, too. All the downsides are a shame, because the value of this indie flick, which by the way is based on a true event, surely can't be belittled.